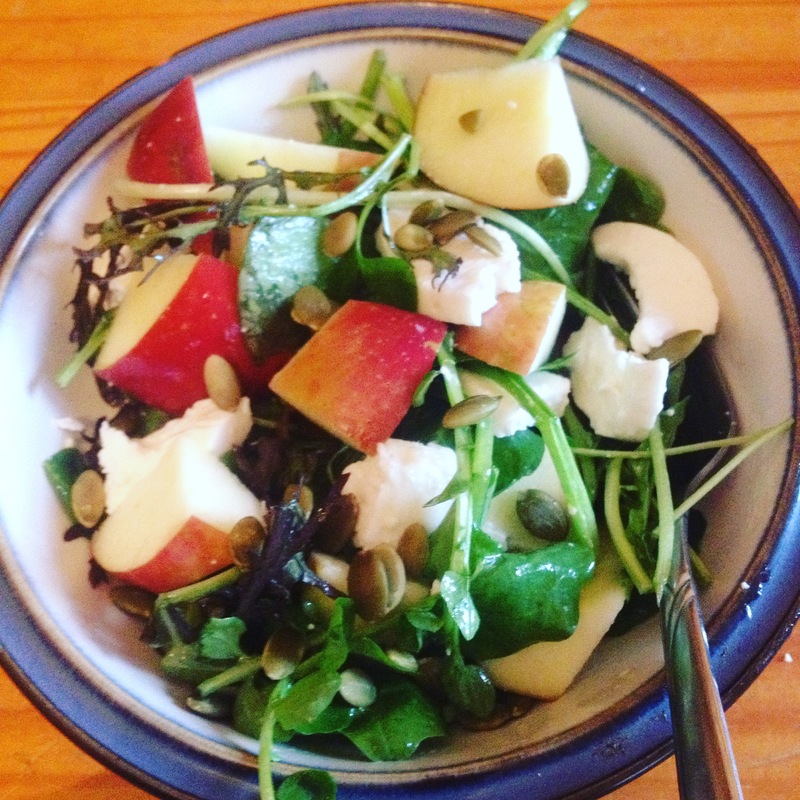 Weight Loss and Eating Out. Do You Keep Gaining Weight? The Benefits Of Using A Training Log. Health News: Study suggests we need to eat more fat. Mix all of the dry ingredients in a bowl. Mix the ingredients for the salad dressing and then pour over the salad and mix well. This salad is amazing on its own or served on the side with some grilled chicken. 2. 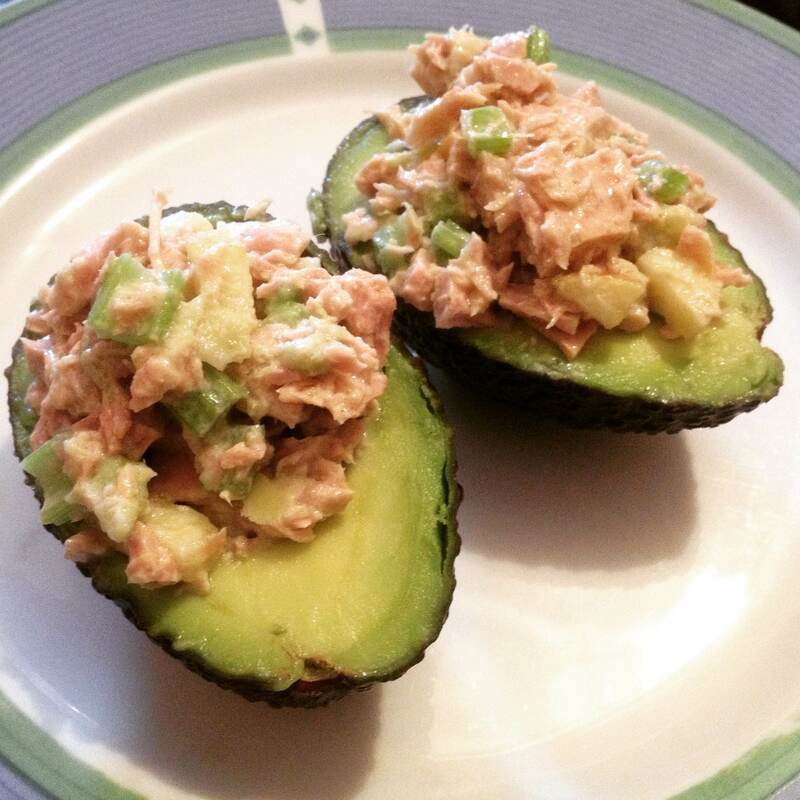 Avocado and Tuna Salad "Cups"
Combine the tuna, chopped celery, chopped apple, natural yoghurt and lime juice. Mix well until you achieve a consistency similar to tuna salad. Half your avocado, remove the pit and scoop out a little avocado to make room for the tuna mix. Stuff the avocado and serve. 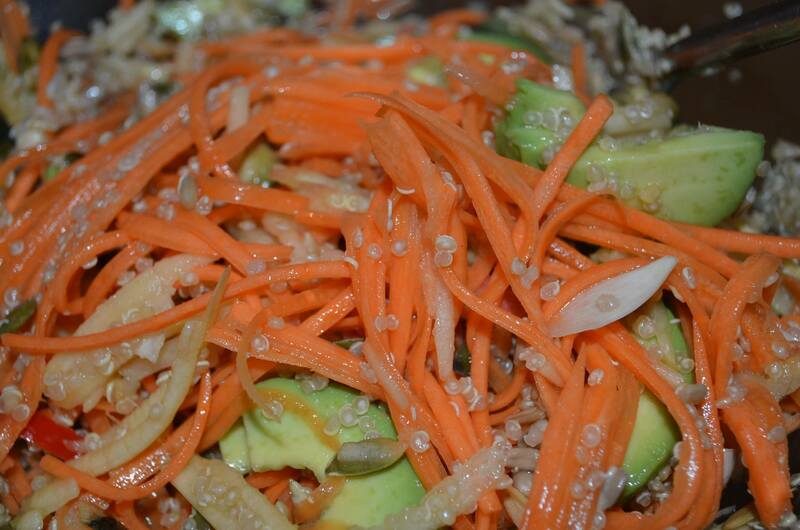 Simple, healthy and most importantly, tasty! 3. 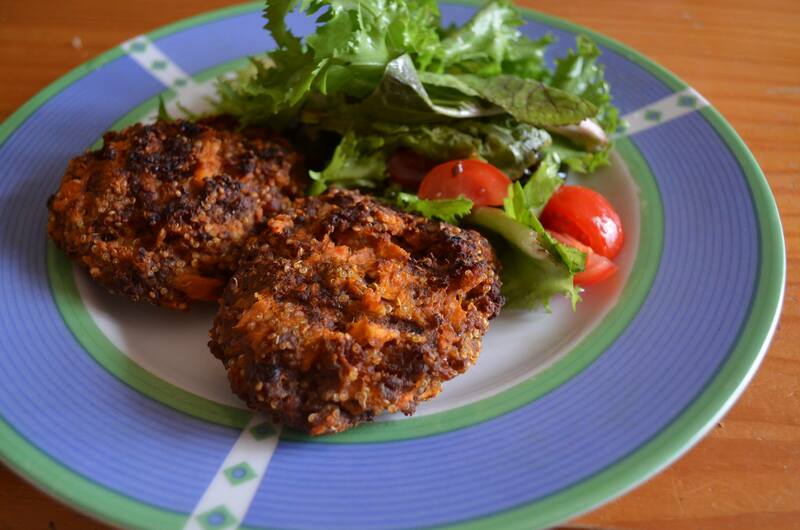 Beef, quinoa and sweet potato burgers. enough beef mince for 4 burgers, salt to taste. This is so easy. Boil the potato until soft, drain and mash with butter and a pinch of salt. In a separate pot cook the quinoa(as instructed on the pack). Drain and mix in with the sweet potato. In a separate bowl mix together the mince, chopped garlic and chilli paste. Combine all ingredients in a bowl to make 4-6 burger patties. Cook under the grill, on the pan or in the oven. They're so good. 4. 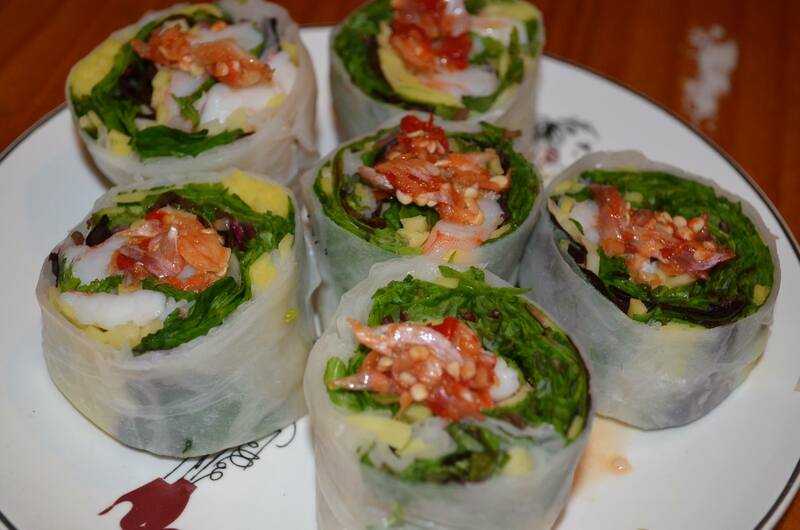 Vietnamese Rolls with a spicy thai dressing. How to do: Soak 2 sheets of rice paper in luke warm water for 5-10 secs or until softened, overlap them slightly and place the ingredients on top and roll up. Cut into pieces and serve. For the dressing: 1 small chili chopped, 1 clove of garlic chopped, 2 tbs lime juice, 2 tbs fish sauce, and 1 tbsp maple syrup. Place all ingredients in a mortar and pestle and pound. Spoon out on top of your vietnamese rolls. Mix all of the dry ingredients together in a bowl. Melt the coconut oil and mix in with the water and maple syrup. Pour into the dry ingredients and mix well until a doughy texture is achieved. Place the dough into a loaf tin, smooth the top out with the back of a spoon. Leave to set for at least 2 hours or alternatively overnight. 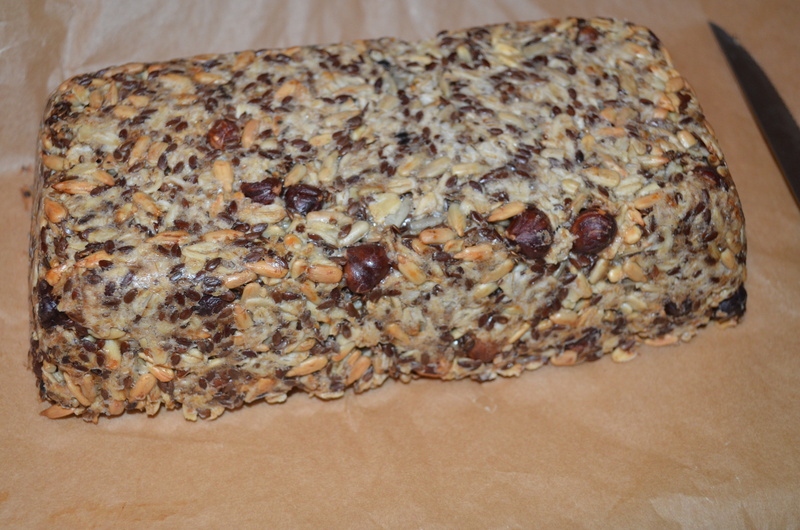 Pre-heat the oven to 180 degrees, place the loaf in the oven and bake for 20 mins. After 20 mins remove the loaf from the tin, place it back in the oven upside down and bake for a remaining 30-40 mins. Tap on the top with a wooden spoon and if it sounds hollow then you know it's cooked. Half an avocado and remove the pit. Scoop out a bit more and then line it with some organic smoked salmon. 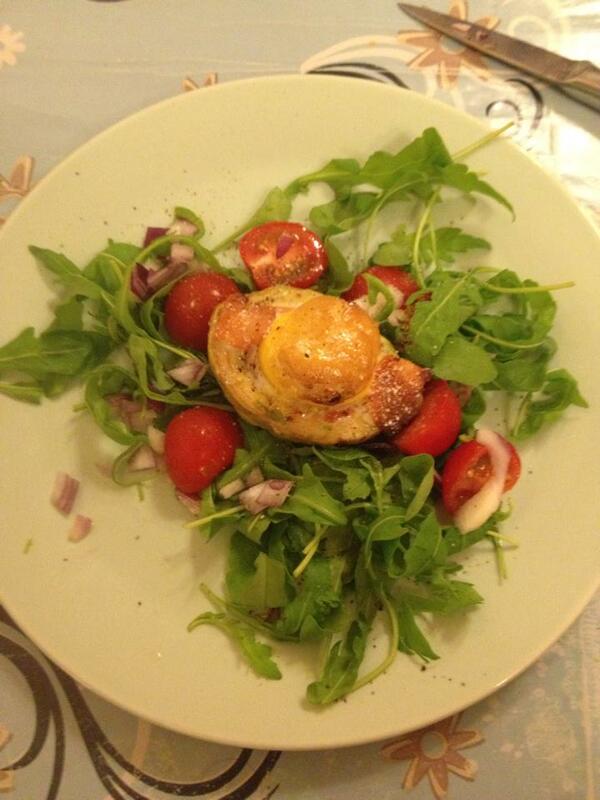 Drop the egg yolk into the hollow and bake in the oven for about 10 15 min. This is perfect served on top of a salad. Place the kale in an oven tray and sprinkle with salt and chilli powder. Place in the oven and check regularly and turn. It cooks quick so make sure to keep your eye on it! 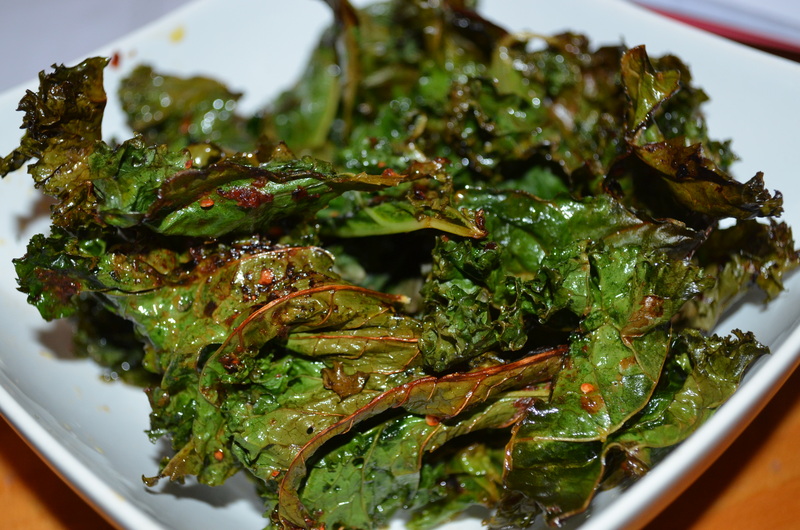 When the kale starts to dry and become crispy take it out and drizzle the olive oil and lemon juice. Serve and enjoy as a healthy snack. This is so simple and a great breakfast that you can grab if you're on the go first thing. Mix up your milk and protein powder. Whisk until the powder has fully mixed into the milk. 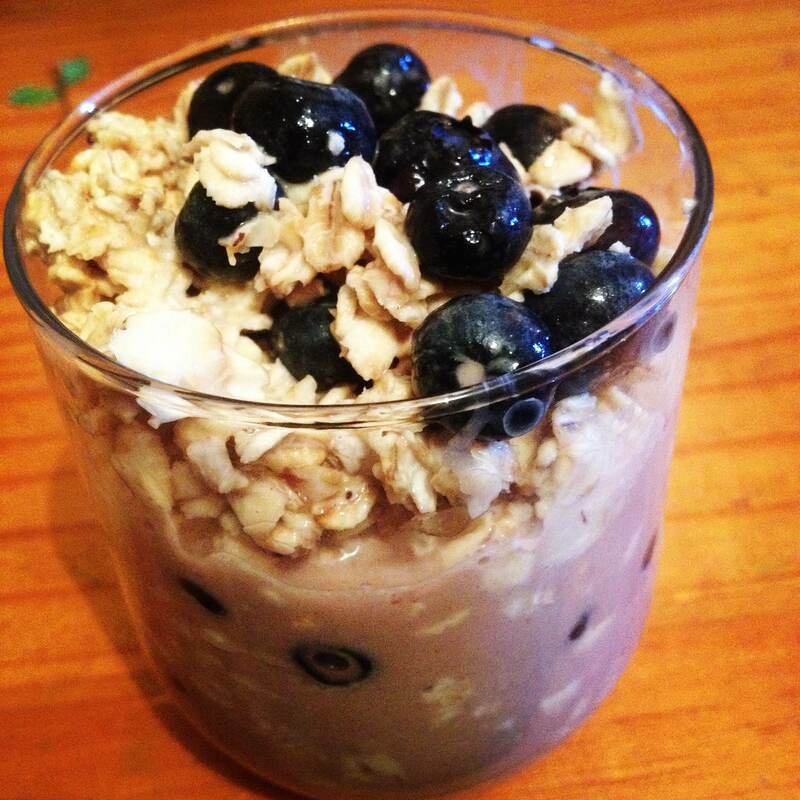 Place your oats into a jar, add in your milk and protein mix, add remaining ingredients. Place in the fridge and leave soak overnight. In the morning garnish with blueberries and serve. 1 tin of preferred Tuna - I recommend Ortiz. 4 small beetroot, peeled, boiled and sliced. 2 scoops of protein powder. Seive all of the dry ingredients into a bowl. Make a hollow in the centre and add in your egg plus 100mls of coconut milk. Mix and slowly add in the remaining cocunut milk. Add water as you continue to mix until the batter reaches a smooth consistency. Leave the batter rest for 30 mins. 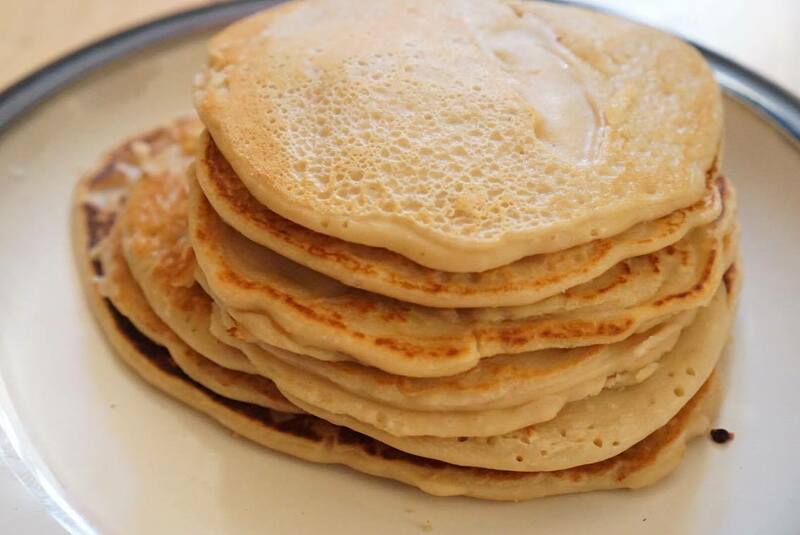 Heat up some coconut oil on a frying pan and cook pancakes over a medium - high heat. Boil egg in water for 5 minutes, while the egg is cooking, slice the cherry tomatoes in half, wash and chop the kale and massage it with some sea salt until soft. 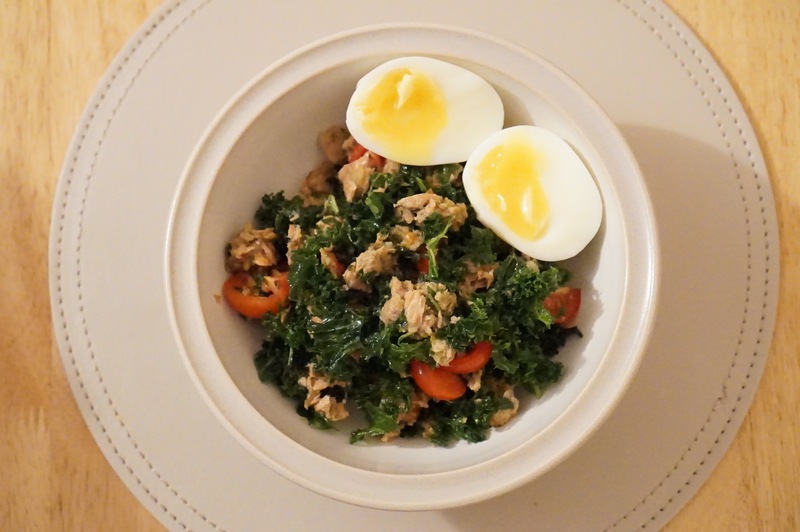 Mix the veg and tuna in a bowl together, add in the soft boil egg and serve. 100 - 200grams of tuna steak. Dressing: Lime, olive oil, chili, spring onion. 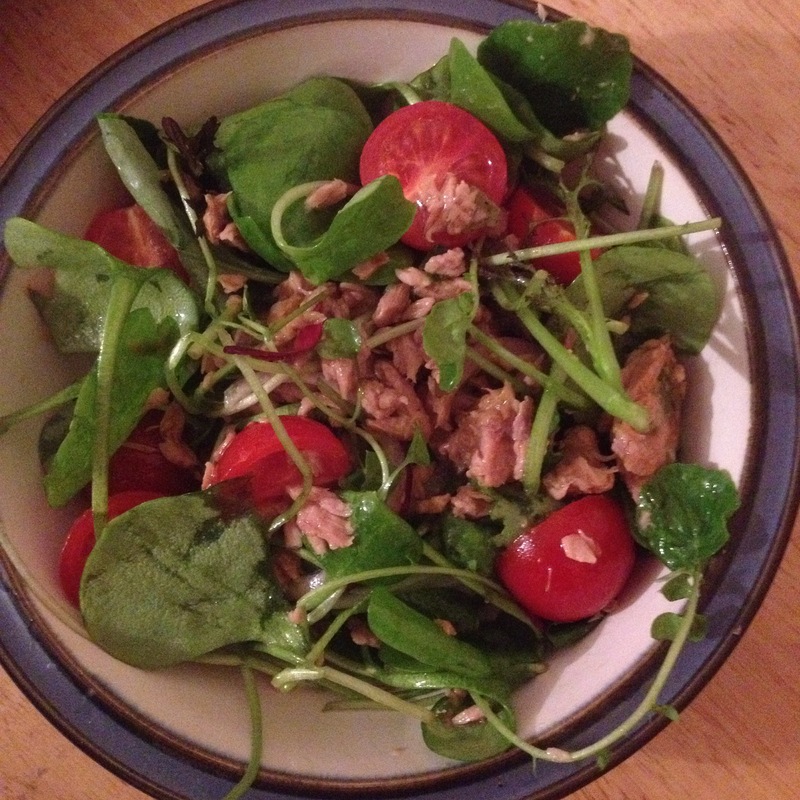 Heat up one teaspoon of coconut oil on a pan, cook the tuna for 2 minutes on each side. 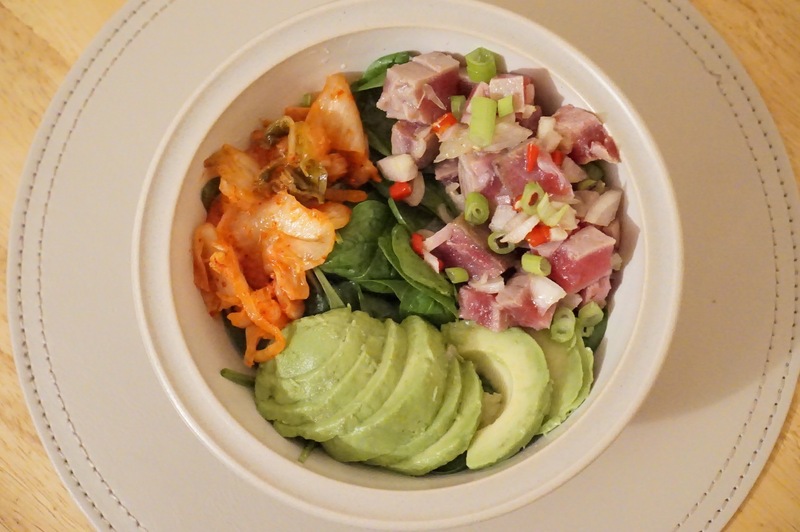 While the tuna is cooking slice the avocado and prepare the dressing. For the dressing: Chop one chilli, 1 spring onion, and mix with 1 tablespoon of olive oil, the juice from half of a lime and a pinch of salt. When the tuna is cooked, dice into cubes and mix in the dressing. 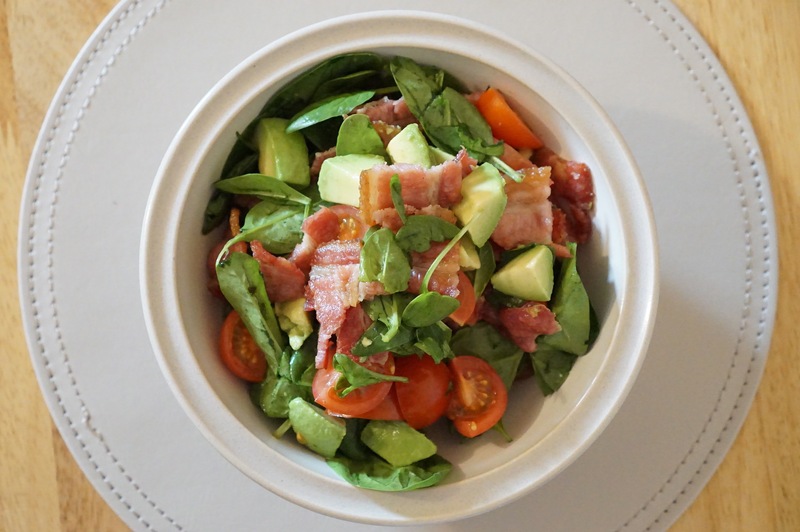 Serve on top of baby spinach, alongside the avocado and a spoonful of kimchi. 1/2 cup of cooked rice(instant ok). Handful of green beans, sliced. Olive oil, salt and pepper. Season the chicken with olive oil, salt and pepper, place in the oven at 200 degrees and cook for 30 mins(or until cooked through). While the chicken is cooking, slice green beans and cook the rice. 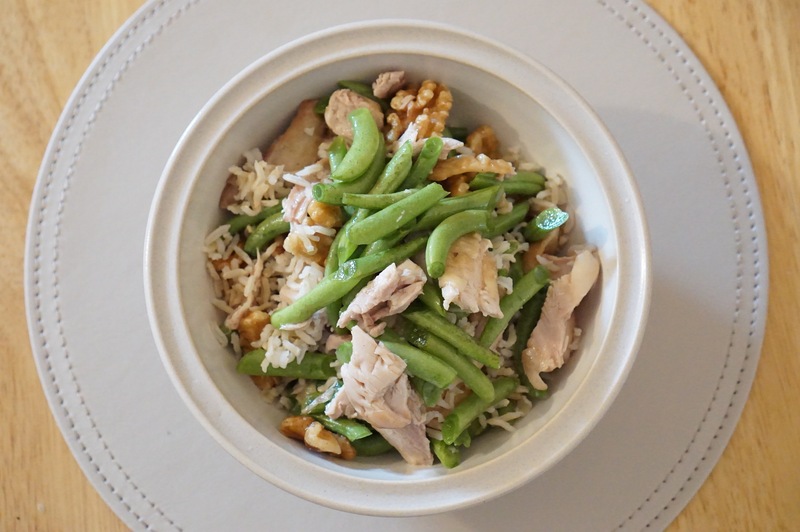 When the chicken is cooked, cut into small pieces and mix with rice, green beans and walnuts. Place the streaky bacon under the grill on a medium heat and cook until the fat is golden. chop it up and mix it with the other ingredients in a large bowl. Drizzle with olive oil and serve. 1 Granny Smith Apple, julienned. A handful or two of baby spinach. 1 stick of celery, chopped. A handful of crushed walnuts. Drizzle of olive oil, salt and pepper to taste. 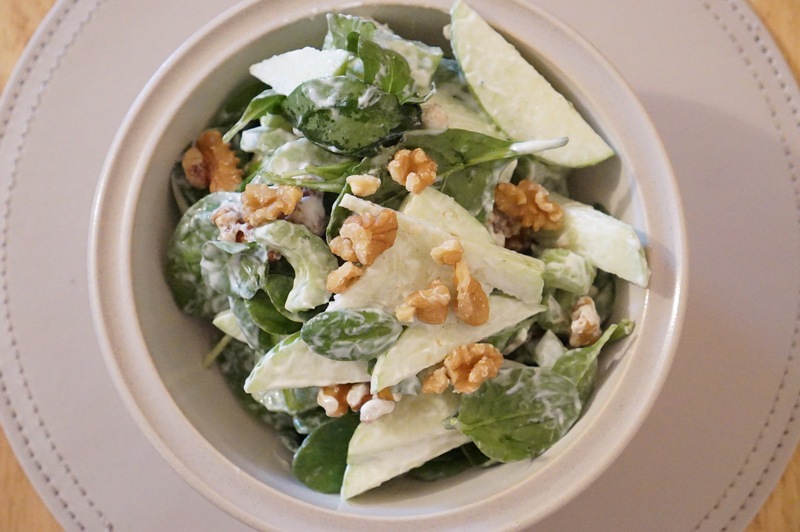 Chop the celery, julienne the apple, and mix with leaves and greek yoghurt. Add in salt, pepper and drizzle with olive oil, mix a little more, then serve. A handful of blueberries, strawberries and walnuts. 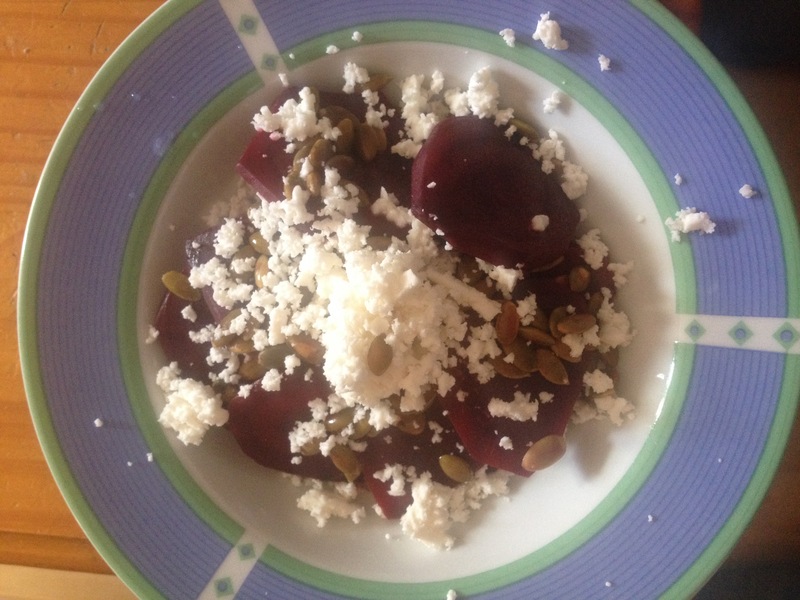 Spoon 100 grams of Greek yoghurt into a bowl. 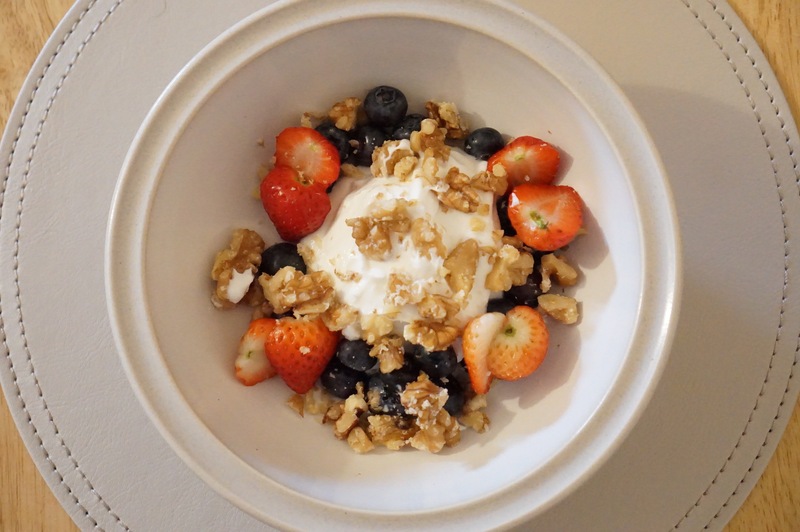 Crush the walnuts, half the strawberries and pour into the bowl along with the blueberries. Serve and enjoy. Small group training for women looking to lose weight and tone up. At Ciarán Foy Personal Training we believe that a diet is only successful if the results achieved are longterm. We specialise in successful weight loss programmes, ensuring that every facet of your health and wellbeing is nurtured. Lose the belly and increase muscle definition with our specialised weight loss programmes. ART® is a patented soft tissue treatment that allows the practitioner to locate and break up scar tissue following injury. Anybody who partakes in physical actvity can encounter soreness and injury, making this form of massage beneficial for everyone.